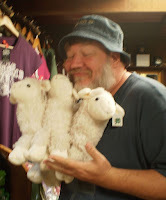 These two devoted sheeples are showing their love! 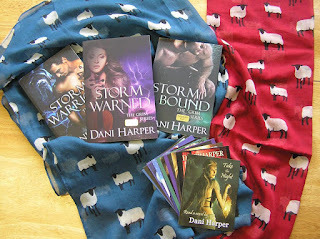 Signed paperback copies of the Grim Series (Storm Warrior, Storm Bound, Storm Warned), a set of cover postcards, and TWO sheep scarves. These are soft polyester and HUGE. 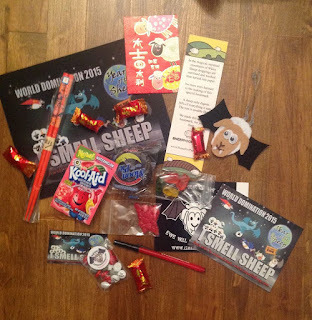 Sheep shirt, chop sticks, lucky candy, mouse pad, sheep ornament, Kool-Aid, Moonpie, dragon food, post cards, pen,sheep poo bookmark, and some surprise author swag. oooh... thanks for such a fun giveaway!!!! I'd have to say... exotic dancer!!! Magic Mike style! Thanks for sharing! Hospital greeter - LOL great prize packs, thanks for the chance!! Pre-school Teacher! Can you imagine what the poor sheep's wool would look like at the end of a bad day? I would love to see a sheep DJ!!!! LOL, hmm I'd like to see a sheep working as a firemen ^_^. Thank you for the giveaways! What awesome prize packs! 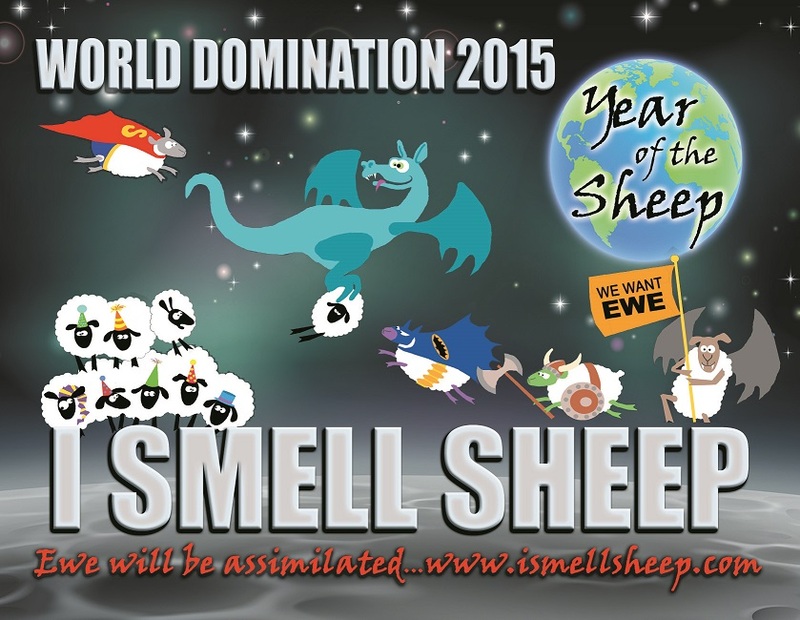 I love your sheep mascot! I would like to see a sheep hair dresser. 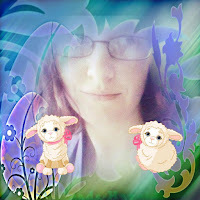 Um, I think I would be a bit disconcerted to see a sheep working at any profession, lol. Thanks for the giveaway! It would be a Taxi Driver! Like to see the sheet as a taxi driver. I would like to see sheep working as radiological workers. Mostly this is because I want to see if end up with some interesting offspring. I would like to see the sheep working as a dancer. Thanks for the fantastic giveaway! Thanks for the fantastic giveaway! I would like to see sheep be a police officer or an astronaut. If I thought sheep could swim under water it would be interesting to see one as a aquanaut. I'd like to see a sheep be a Walmart greeter - it would add some class to the joint. I totally want the t-shirt!!! I would love to see a sheep veterinarian. The level of animal care would be amazing. Great prizes, thanks for the chance! 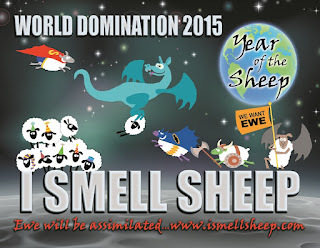 i think it would be great to see a sheep being the Doctor giving counseling to the wolf that is obsessed with sheep. LOL! A sheep accountant. Tie, glasses and calculator included! Thanks for the great prize packs! Day Care Worker - taking care of the flock! Bartender. 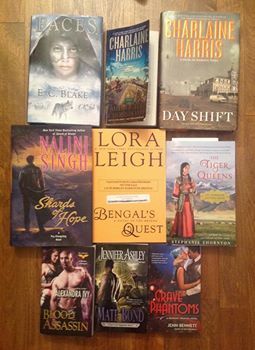 What lovely prize packs!